Ünal Varol has been named Global BOV Business Manager for Lindal Group, and will report to Phil Lever, the company’s Group Commercial Director, the firm announced here today. This is a new position for Lindal Group, and one designed to further elevate Lindal’s BOV strategy and industry position as the leader in this increasingly popular technology. 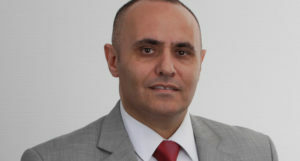 Varol was previously General Manager – Lindal Turkey, and has years of experience in BOV technology. This includes product development, filling, product launch and supply. According to Lever, Varol successfully established Lindal’s presence in Turkey, a strategic addition in this important market, where East literally meets West. “Ünal has been instrumental in developing a strong team in Lindal Turkey and leaves a solid foundation from which to build into adjacent markets,” Lever said. Previously, Varol was Area Sales Manager for Colep Healthcare, following his work at that company as Senior Technical Expert and Technical Sales Manager. Earlier, Varol was Technical Production Manager for Rapid Spray, and Technical Support Engineer at Scharr-Flüssiggas. Varol holds a degree in mechanical engineering from the prestigious Technical University of Ulm. “Our BOV team at Lindal Group leads the industry,” Lever said. “Our customers will greatly benefit from this breath of experience, know-how and very special innovative energy,” he said. The Bag-on-Valve (BoV) aerosol system is a modern packaging technology developed to improve cosmetic, medical or food products. It is convenient and user friendly, can be sprayed evenly at all angles and delivers superior product evacuation, thus minimizing waste and maximizing consumer value. BoV consists of an aerosol valve with a welded bag. The product is placed inside the bag while the propellant is filled in the space between bag and can. The product is dispensed by the propellant simply squeezing the bag when the actuator is depressed. Product is squeezed out of the bag by the compressed gas, which creates the dispensing as a spray, cream or gel.